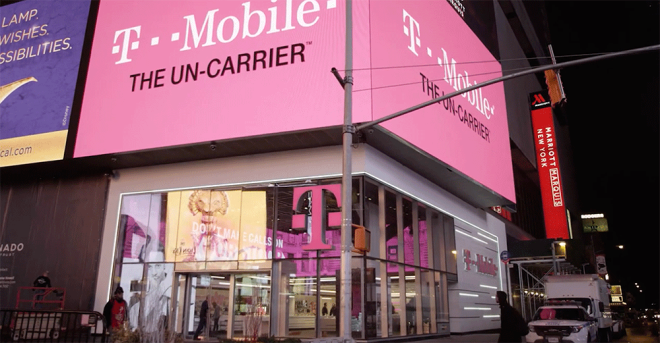 Last week we learned that T-Mobile will be raising the price of Simple Global roaming calling as well as adding more countries where Simple Global works. Now some more Simple Global news has come out. Starting August 1st, T-Mobile will offer a new international high-speed data pass. For $5 per day, customers can get 512MB of data up to 4G LTE speeds and unlimited calls in all Simple Global countries. Your pass will last for 24 hours, after which point you’ll rever to regular Simple Global which offers unlimited texting and 2G data. Customers can purchase up to two passes per 24 hours. As a reminder, T-Mobile is raising the cost per minute for calls within and between Simple Global countries and destinations as well as from Simple Global countries back to the U.S. The price of these calls will be $0.25 per minute starting on your first new billing cycle after July 31st. That price is up $0.05 per minute from the current Simple Global calling rate. Still no Wakanda. This is unacceptable. T-Mobile needs to get it together! I’m sure T-Mobile would add Wakanda to the list if the current handsets were able to handle their superior network which is light years ahead of all other countries. and which sometimes can go an entire day without experiencing a single electrical, landline and tv outage. I suppose this is a good thing for T-Mobile customers. It allows them to actually be able to use their phone while traveling abroad for 5 bucks. 2G data speed is useless. its kind of the same but its not. while I admit that the free data is enough for messaging this new data pass just give your High speed data. While Verizons 10 dollars a day travel pass lets you make calls to the country you are at and the us. no limit on minutes which tmobile just increased from 5 to 25 cents. if the merger go thru watch how things will start changing fast due to less competition, deals have cool down a lot since it was announce and I dont see any competition happening unless it gets block. I use the travel pass when im going on a short trip and don’t wanna go get a local sim. Read it again. For $5, you also get unlimited calling. missed that one. thanks for pointing it out. now thats a better deal. Still can’t beat buying a local SIM. You can if it means keeping your number for calls. If you have an easy way to forward calls to the international number, or answer them on data, you’re correct. If I go to a country and the SIM is $25 for a week, and I can just pay TMobile an extra $10 and still get calls like normal? The TMobile plan wins imho. I have some people calling me business wise, and I can’t tell anyone outside my friends to use Facebook’s Spyware Messenger to call me. Yes, the former WhatsApp guy left because he didn’t want FB selling the data inside the app. No I don’t have a FB. I agree ! If your traveling and you can’t spend a extra $10 to make your life easier with getting your calls directly to your phone,…. You shouldn’t be traveling . Why no week pass for longer trips? Yeah, but it’d be nice to be able to buy it up front instead of each day. FYI You can buy twice in one day(those who want more data maybe). You know, it is just so cheap, one long call could be more than that $35. And if you sell a longer pass and for some reason connection experiences hiccups at ANY time, folks will want at least a partial refund of that larger fee– a portion of which TMO gives to the local…what a potential logistical, money-burning headache. It is NOT cheap. Thats basically a $150 a month rate. Yeah it includes LTE data and calls but it should for that price. Well, then get a local sim if you’re staying that long, same as local rental instead of hotel, cheap car instead of rental. You’re traveling– how much are you spending daily on overpriced tourist transport, lodging and food? $5 must be a drop in that bucket. It’s as cheap as it can be, given the costs because of two companies and different countries involved. And it’s much cheaper than all other US competitors. Barring backpacker / missionary status, it is presupposed that one is able to travel because one has money. 7 days is not a long trip. T-Mobile used to have a 10-day international high-speed plan for $20, which I used to get whenever I traveled internationally. It was a bit more expensive than getting a local SIM, and you only got 1GB of data, but the convenience outweighed the price. So let me get this straight, for $5 I can get unlimited calling in the country I am in and back to the states ???? You do get unlimited calls with this $5 international data pass, but it only lasts for 24 hours. And it’s a great deal. 24 hours can cover large part ot two days. No! For $5 you’re getting 1/2 Gig of data, 4G/LTE speeds (and 2G after) during a 24 hr period. Calls will be 25 c/minute (incoming or outgoing). For back to the States just use Google Voice or any number of competing apps. I worry more when they call me.. I use Google voice and what’s app .. But i have to admit, talking over cellular versus voip is much better in quality. You are absolutely correct, unfortunately. Years ago, before Sprint killed it off, Nextel was a godsend for calling certain countries. Calls back to the states over wifi are free btw. And as I stated above, was in Europe twice in the past year. Each time it was never more than $40-50 extra and I made all the calls I wanted to European phones and data (allowed 2g, which was LTE mostly) with no “extra” international plan. $5 per day. But yes, voice seems to be included. Thats $150 a month though. That aint cheap at all, they should be included. I was in Europe twice in the past year. Italy, Germany and France it was LTE service without any additional data plans from TMo. This is larger populated areas. There are still rural areas where it gets slow. Try it first before buying when you get there. Keep in mind that’s part of the slower free data, assuming they have LTE you’ll get LTE speeds with this. My point exactly. Why pay when you can get it for free? You can always sign up on the fly if its not working for you. One single call can cost more than that $5. Pricing based on what local carrier wants to charge. That’s like 15GB per month on average. 512 is enough for 98% of users for a day, and for $5 more, they can have a gig a day. But using 30 gigs during a months vacation means your not looking out the window. Its a decent plan. 1GB, 5GB, or 10Gb would be better practical options and would expire within 30 days. I normally resort to using Whatsapp for calls, but this is good to have as an option. wait a minute, then how do people in those countries call you? doesn’t that get tricky? I just chatted to T-Mobile about this. This article doesn’t mention that T-Mobile is also REMOVING the 5- and 10-day data international high-speed data passes. In the past, you used to be able to buy a 10-day data pass that included 1GB of high-speed data, for $20. It’s not like it’s a lot of data, but the point is, you’d have high speed access for your whole holiday. There was a 5-day option too, I think. The new $5/day option only lasts 24hrs. So if you’re going on holiday, and you just need high speed (but don’t need a lot of data), this is a really bad deal. Sadly, TMO had a great int’l datapass deal and this NEW one is more expensive and requires you to take action every day to renew. Given how cheap intl’l SIM cards are, anyone staying in a country for than a few days is likely to get more/faster data by bothering to get a local SIM (sadly).